Pie Eyed pies will be available at Birdhouse Tea Bar and Kitchen during British Pie Week. There are plenty of restaurants in Sheffield to grab a piece of the pie, as British Pie Week takes place from 5 – 11 March. If you’re out enjoying pie week in Sheffield, make sure to use #SheffAfter5 to show us your pictures. The Devonshire on Devonshire Street is famous for two things, gin and pie! Three homemade pies are up for grabs at The Devonshire – braised beef, mushroom and ale, chicken, leek and ham, and vegan-friendly curried squash, okra and cashew nuts. Enjoy yours for just £8.50 with hand cut chips, peas and gravy. Throughout Pie Week, Sentinel Brewhouse on Shoreham Street will be celebrating pie across all of its menus. Expect proper pies made using Sentinel’s beer, which is brewed on site. Sentinel will also be providing plenty of vegan options, so everyone can enjoy Pie Week. To celebrate British Pie Week, Birdhouse Tea Bar and Kitchen on Sidney Street is offering diners two Pie Eyed Sheffield pies and two redact beers for £22 after 5pm until 12 March. 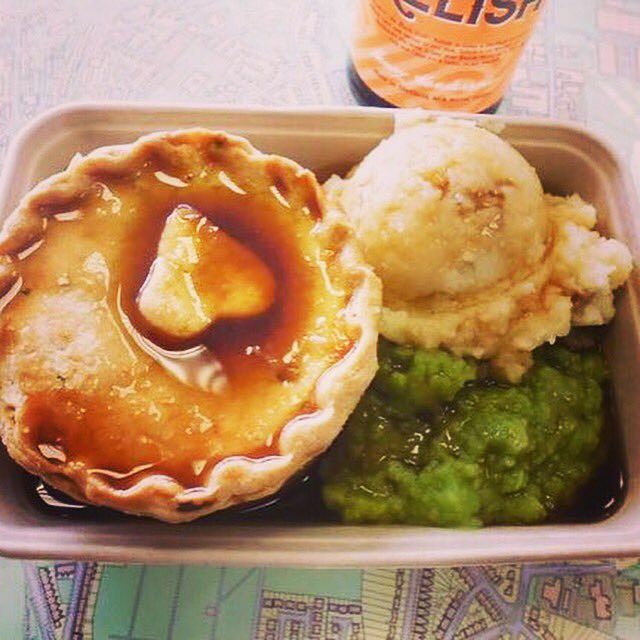 Pie Eyed have been making pies in Sheffield since 2014 and can often be found at events across the city, as well as in a number of restaurants. Find out more about Birdhouse Tea Bar and Kitchen. Silversmiths on Arundel Street became famous for its Tuesday night pie and steak evening after it was introduced by a certain potty-mouthed chef a decade ago. Pie night has proved a huge hit, and Silversmiths provides a fine dining option this British Pie Week. Pie options include beef, chicken, Mediterranean vegetable and a traditional fish pie. If you prefer to take your pie away to enjoy at home this British Pie Week, Simmonite on Division Street is open until 7pm most evenings and has a fantastic selection of homemade pies to enjoy. Pop in on your way home and see what takes your fancy. Love food? Dine Sheffield, Sheffield’s answer to New York’s Restaurant Week, is coming up from 15 – 29 March. Around 40 restaurants across the city centre will be offering special set menus at either £5, £10 or £15. Head to the Dine Sheffield website to browse offers and download your vouchers.